Pop Culture Shock has revealed their upcoming Street Fighter V – Battle Ryu 1/4 Scale Ultra Statue. The statue will be available exclusively via Sideshow Collectibles. 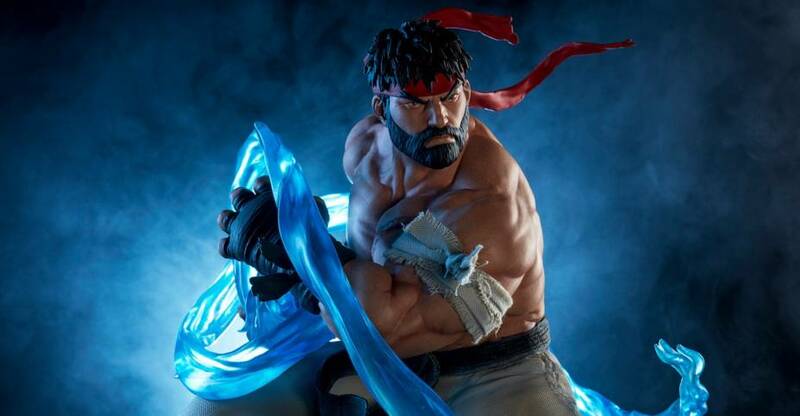 Also known as “Hot Ryu”, the new statue showcases a bearded, shirtless Ryu as he begins his Ultra Move from the game. Ryu stands atop a base themed after the Suzaku Castle from his stage. 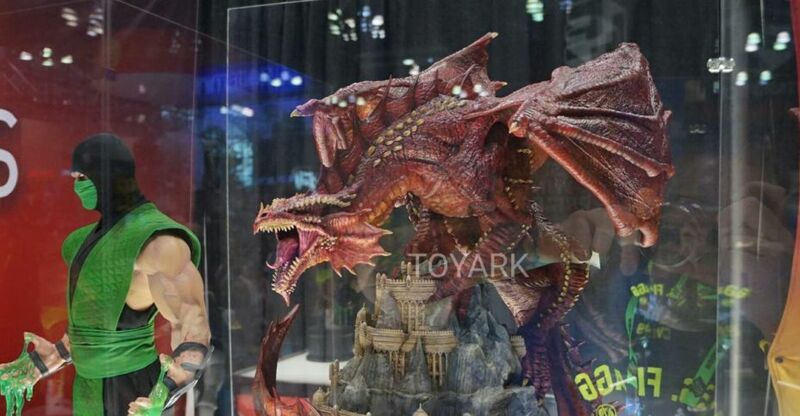 The statue stands at 20.5″ tall, and will be limited to just 250 pieces. 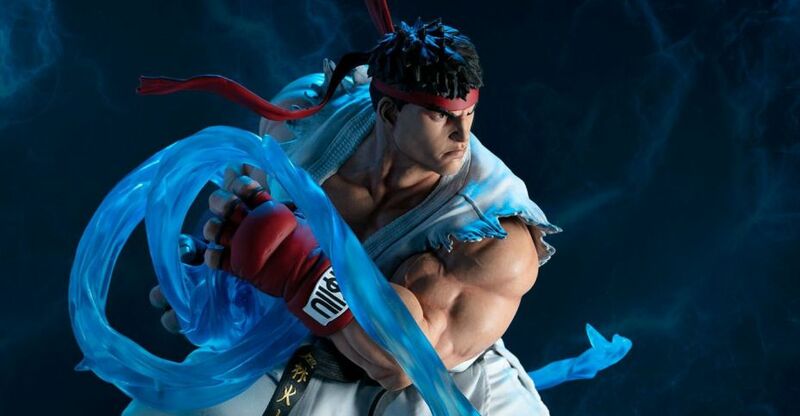 Look for the Battle Ryu Statue to be released between February and April of 2020. Pre-orders are set to go live on Thursday, March 28th. The statue will be priced at $549.99. See additional details and photos after the jump. New photos and details have been released for the upcoming Teenage Mutant Ninja Turtles – Donatello 1/4 Scale Statue coming from Pop Culture Shock Collectibles. The details come courtesy of PCS Toys distributor Sideshow Collectibles. 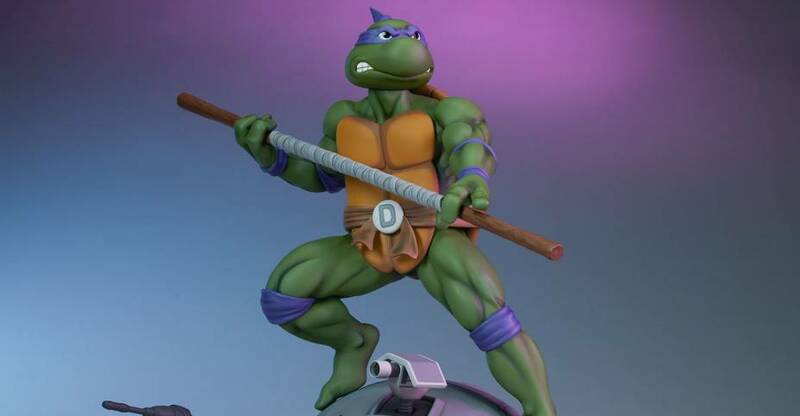 Donatello is based on his appearance in the classic 80’s TMNT cartoon, and includes his bo staff. Donatello stands about 17″ tall, atop a destroyed Technodrome robot statue base. There will be a standard Collectors Edition, as well as a Sideshow Exclusive Edition, which will be limited to just 250 pieces. With the exclusive version, you get a set of swap out arms for a different pose, as well as an interchangeable portrait. Pre-orders for the statue are set to go live on Thursday, January 31st some time between Noon and 3:00 PM Pacific Time. Donatello is priced at $500 for each version. It is scheduled for release between January and March of 2020. See the photos and additional details after the jump. Pop Culture Shock Collectibles has released a new preview photo for their upcoming Teenage Mutant Ninja Turtles Donatello 1/4 Scale Statue. This will be their second TMNT Statue release, with pre-orders for Raphael opening over the Summer. 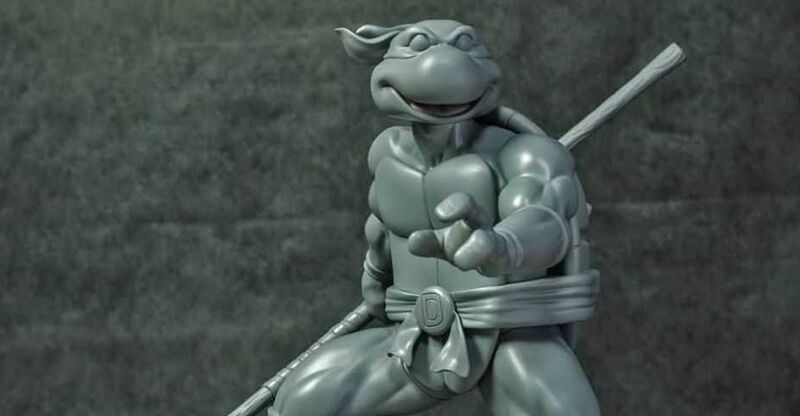 Donatello will go up for pre-order in early 2019. 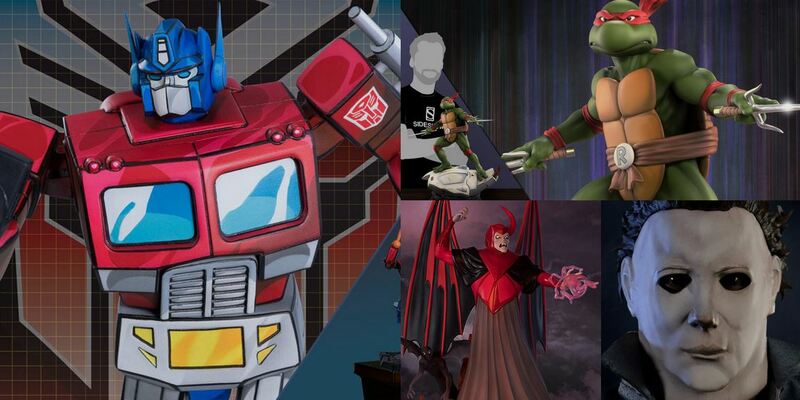 You can see the full preview image by clicking the banner image above. 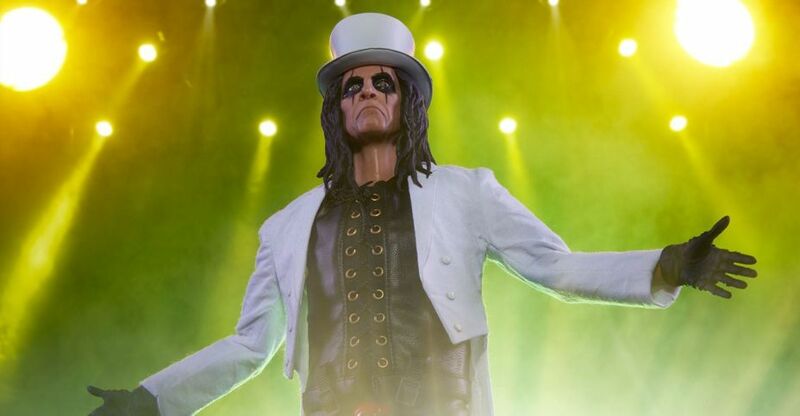 Pop Culture Shock Collectibles has released official photos and details for their long in development Alice Cooper 1/6 Scale Figure. They have been teasing and displaying the figure at toy shows for over 3 years! Finally, fans will have a chance to pre-order the figure starting this Thursday at 9:00 AM Pacific Time via Sideshow Collectibles. The 12″ tall figure will have over 30 points of articulation. It includes a standard portrait, a portrait with a white top hat, a microphone, a snake, interchangeable hands, two jackets, and more. The figure will be priced at $219.99 with a release set for some time between February 2020 – April 2020. See more details below, and the new photos by clicking the headline of the story. Here’s the Pop Culture Shock display (minus G.i Joe and Transformers) from New York Comic-Con 2018. Includes Alice Cooper, Street Fighter, The Ultimate Warrior and Dungeons and Dragons. 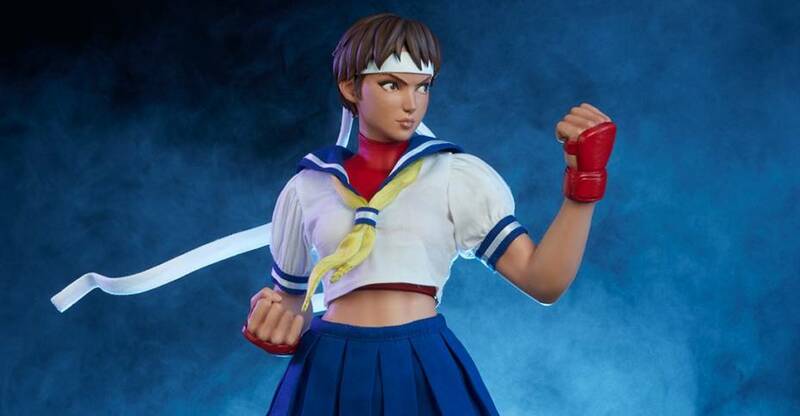 In their latest newsletter, Pop Culture Shock Collectibles released official photos and details for their next Street Fighter V Statue. Pre-orders for the Street Fighter V – Ryu 1/4 Scale Ultra Statue will open on Thursday September 21st at Noon Pacific Time (3:00 PM EST) via Sideshow Collectibles. There will be two versions available at launch, a standard release, and an Evil Ryu version, featuring an alternate portrait and color scheme. A third version featuring Battle Ryu (aka Hot Ryu) will be available at a later date. Each statue stands about 20.5″ tall. They showcase Ryu as he prepares to unleash a Hadoken. The statue base is styled after the Suzaku Castle stage. They will carry a retail price of $549.99 each. After the jump, check out the photos and full details for both versions, as well as a preview of the Battle Ryu. 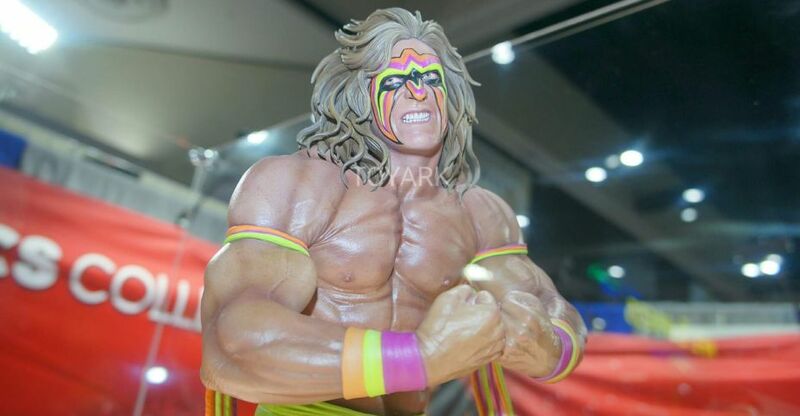 Photos and official details have been released for the upcoming WWE- Ultimate Warrior 1/4 Scale Statue coming from Pop Culture Shock Collectibles. The statue will be available via Sideshow Collectibles, with pre-orders kicking off on August 30th at Noon Pacific Time. The statue stands at 25″ tall atop a themed pedestal base. It will be priced at $550 with a release scheduled for some time between November 2019 and January 2020. See official details below and check out the photos by clicking the headline of the story. 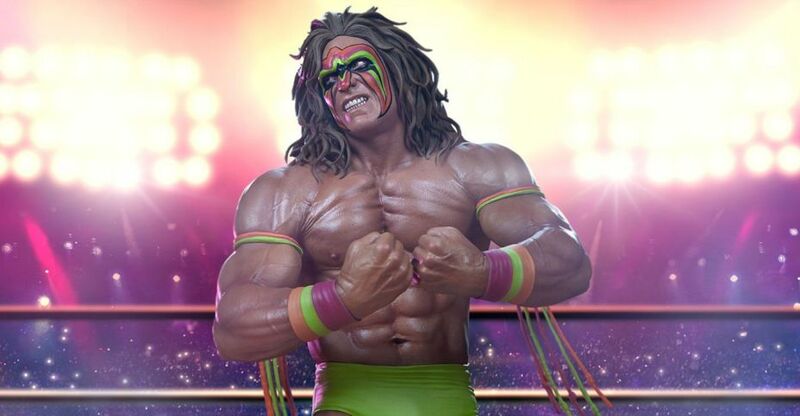 Sideshow and PCS Collectibles are proud to present the Ultimate Warrior Statue, ready to shake the ropes and enter the ring in your collection. Take your collection ringside and make the Ultimate Warrior 1:4 Statue from PCS the new champion among your WWE collectibles.